← Move over Autumn, It’s KBIS season! KBtribechat host Gloria Sollecito finds that the best projects are successful collaborations between clients and trade professionals. This includes ways to create kitchens that reflect not just a designer’s concept but a homeowner’s vision as well. Most of her clients, even if not DIYers, like to be involved in the evolution of the design. It is very much about collaboration, personalization, customization, flawless function, emotional and visual appeal. Join us for #KBtribechat on September 9th as we chat about collaboration and how clients are involved in the creative process. 1) What techniques do you use to engage the client in the first meeting? 2) How can we deliver the essence that a client is looking for while meeting their budget? 3) What do you do when you and your client do not share the same vision? Can you remedy this? 4) What are some of your favorite ways to personalize a space to reflect your client? Pics please! 5) What comes first, form or function? 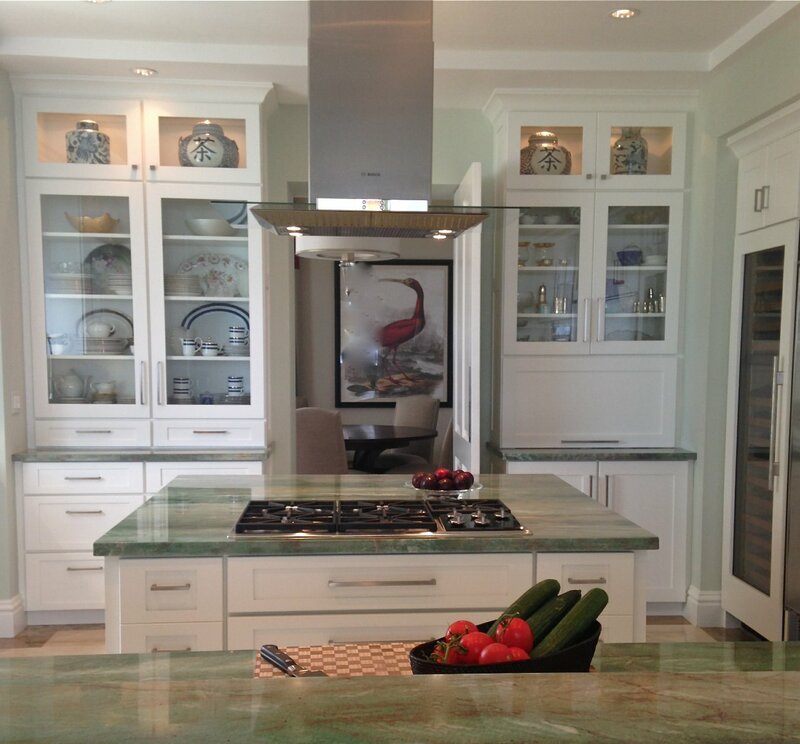 Gloria Sollecito is a kitchen and bath cabinetry designer with AKBD certification from the National Kitchen & Bath Association. She resides in Palm Beach County Florida and has served on both the South Florida and Treasure Coast NKBA Chapters’ Board of Directors as the VP of Communications. Her work has appeared on This Old House as well as Florida Design Magazine, The Sun Sentinel and the Palm Beach Post. She is co-author of The Complete Idiots Guide to Remodeling Your Kitchen, Illustrated and is a proud member of both the Blanco Design Council and the Brizo “Blogger 19.” Gloria’s unique vision blends her work as a mixed media artist and avid world traveler with 20 years experience as a designer in the kitchen and bath industry. You can read about it on her blog plus find Gloria on Twitter, Facebook, GooglePlus and Pinterest. 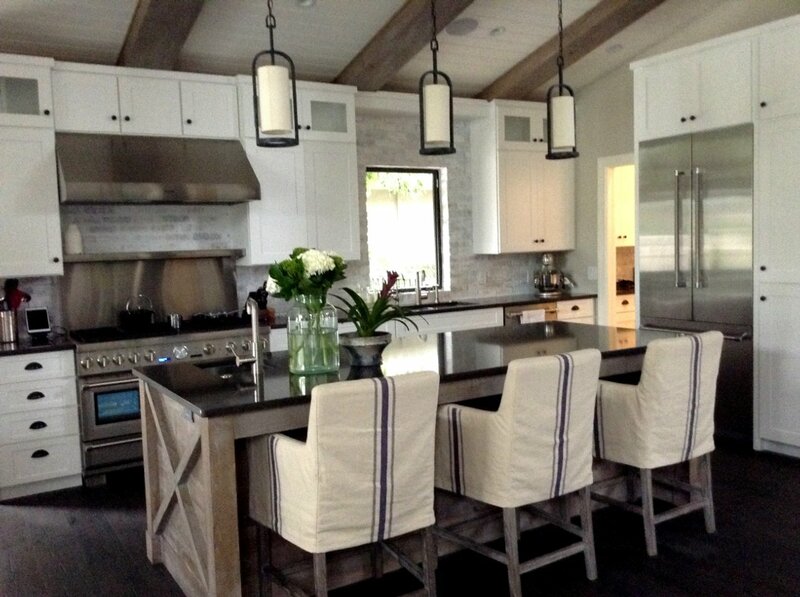 Love the look of that white, glass-fronted kitchen cabinet! Space and coolness! Perfect for Florida!